Due to advances in technology and the long-term care needs of the senior population, graduates of certified nursing assistant programs will have numerous opportunities after graduating from the program. Certified Nursing Assistants (CNAs) are in demand all across the United States, but there’s a special demand for them in highly populated regions. 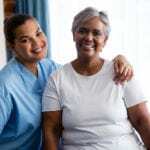 In large cities, such as New York City, Chicago, Los Angeles, Miami, and Atlanta, there’s an abundance of CNA classes that prepare adults to meet the acute and long-term care needs of the senior and disabled population. The classes are popular among adults seeking entry to the healthcare industry. Certified Nursing Assistants practice under the supervision of a Licensed Practical Nurse or Registered Nurse to perform basic healthcare duties that promote patients’ health and well being. Their duties depend on the specific environment – for example, CNAs may do more in a large hospital than a small facility. 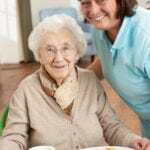 Common duties across any setting include dressing, feeding, and bathing patients, assisting with bathroom visits, emptying bedpans, communicating any concerns with the nurses, assisting with restorative treatments, performing basic medical tests, measuring and recording vital signs, and answering call lights. 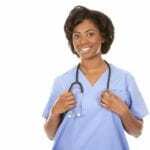 Training and experience as a CNA set a solid foundation for admission to a licensed practical or registered nursing program. CNAs work in hospitals, nursing homes, adult care centers, and patients’ homes. CNAs in Massachusetts earn a median annual salary of $32,340. The nursing assistant class at Faks Allied Health Center introduces students to basic nursing skills. The duration of the classes is 4 to 7.5 weeks long based on the schedule. Weekday, weeknights, and weekend classes are available to meet the needs of working adults. Students will learn to demonstrate nurse aide skills including total patient care, CPR/First Aid/AED, taking vital signs, resident rights, communication with patients and family member, and infection control and safety measures. In the classroom, students will learn nutrition and infection control, anatomy and physiology, and basic nursing skills. The clinical experience at an externship site will give students the opportunity to put the theory to practical use in a real-world setting. Sanzie Healthcare Services provides high-quality nursing assistant training to prepare students for the healthcare industry. The course emphasizes training in CPR/First Aid, healthcare consulting, prevocational services, and safety in care. The emphasis of the program is to produce top-notch professionals capable of working in multiple healthcare environments. The curriculum delivers 85 hours of training in accordance with Georgia State Guidelines. It includes 24 hours of clinical rotation in a nursing home. Course topics include communication, infection control, interpersonal skills, safety and emergency procedures, respecting residents’ rights, and promoting residents’ independence. Graduates are eligible to take the state competency evaluation to be added to the Georgia Nurse Aide Registry. 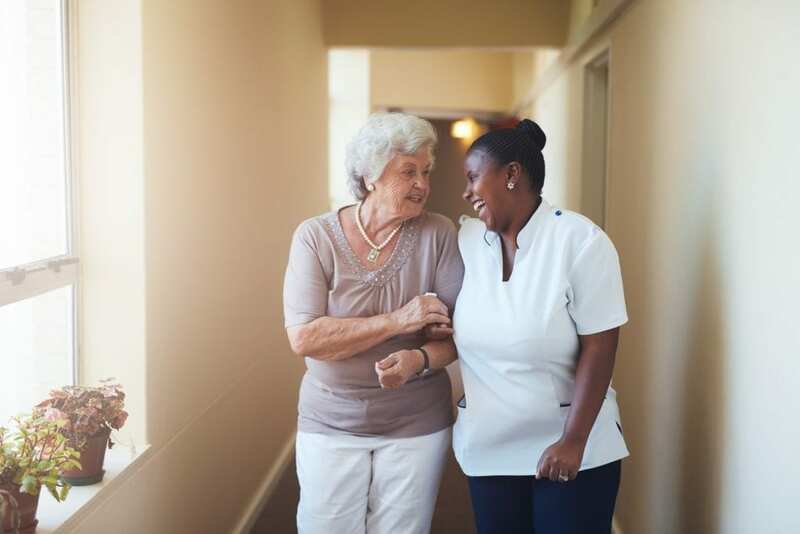 Active Assist Care’s nurse aide training includes classroom instruction and hands-on skills to prepare adults for the delivery of basic care in acute and long-term care facilities. The curriculum delivers 88 hours of classroom theory and hands-on skills training as well as supervised clinical experiences in a local nursing home. The clinical externship will be scheduled for the last three days of the program. Areas of study include infection control procedures, communication and professionalism, safety and emergency procedures, legal and ethical consideration, respecting and promoting resident rights, basic nursing and personal care skills, caring for the mentally impaired, and rehabilitation and restorative skills. Day and evening schedules are available. The daytime class meets Monday through Thursday from 10:00 am to 2:00 pm for 4 weeks. The evening schedule meets Monday through Thursday from 6:00 pm to 10:00 pm for 4 weeks. Graduates must take and pass the state competency evaluation to be included on the Georgia Nurse Aide Registry. Tuition for the program is $550 and includes lab supplies and liability insurance. Additional costs include uniform, textbook rental, state examination fee, AHA CPR First Aid, and TB skin test or chest x-ray. A flexible payment plan is available. CNA test preparation and job search assistance are provided for all graduates. North Georgia Nursing Academy’s nursing assistant program consists of 96 hours of basic patient care and procedures. In accordance with state guidelines, the curriculum includes lectures in the classroom and hands-on skills lab followed by a supervised clinical experience in a long-term care facility. Course topics include infection control procedures, patients’ rights and independence, vital signs, basic nursing skills, nutrition, communication and professionalism, personal care skills, caring for the mentally ill, and hospice care. Morning and evening schedules are available. The day schedule meets Monday through Thursday from 8:30 am to 3:30 pm for 4 weeks. The evening schedule meets Monday through Thursday from 5:00 pm to 9:00 pm for 6 weeks. The cost of attendance is $850. It includes books, nurse kits, CPR and First Aid certification, scrubs, professional resume, and job placement assistance. A payment plan is available for those who need it. Students must pay for the cost of the state exam, which is conveniently administered on campus.